Spring is coming to the valley, but up at Turpin Meadow Ranch, at the winter end of Buffalo Valley Road in the northernmost reaches of Jackson Hole, the altitude is higher (7,200 feet versus 6,400) and winter is still holding on. 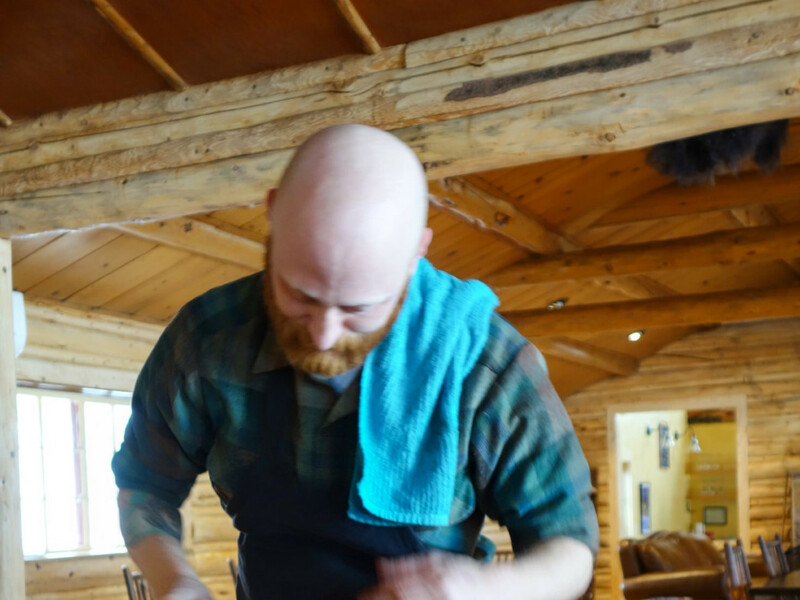 Even if you get there late on a sunny day and the 15 km of groomed cross-country skiing trails have softened up too much, the ranch serves up a serious lunch not to mention breakfast and dinner for those who decide to reserve one of the cabins. 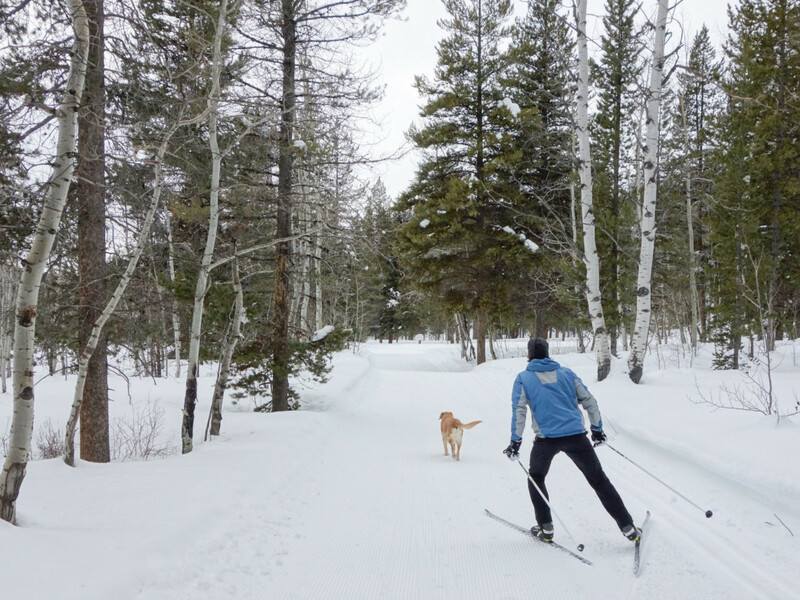 Yes, our valley finally has its first destination for Nordic skiing. Other winter sports enthusiasts are welcome too. When conditions permit, fat bikes are allowed. 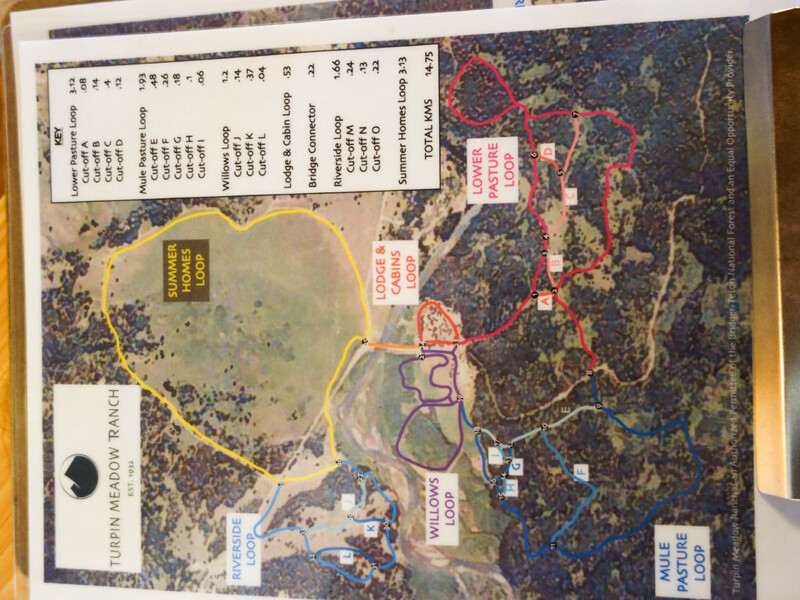 For snowmobilers , the Continental Divide Trail goes right through the ranch. Ranch owners Hans and Nancy Johnstone aren’t just both former Olympians (Hans in Calgary in 1988; Nancy in Albertville in 1992), but also dog lovers. Turpin Meadows is fabulous. It’s worth the hour drive from downtown Jackson even if you don’t spend the night. Day trip guests can buy day passes. The Johnstones reopened Turpin Meadows Ranch, ten miles down Buffalo Valley Road off U.S. 26/89/191 north of Moran, January 1 of this year. There hasn’t been much buzz about a new place like Turpin Meadows in a long time. Groups of girlfriends are going up for a weekend away from familial duties. Dudes are heading up with snowmobiles and fat bikes in tow. Everyone raves about the food. 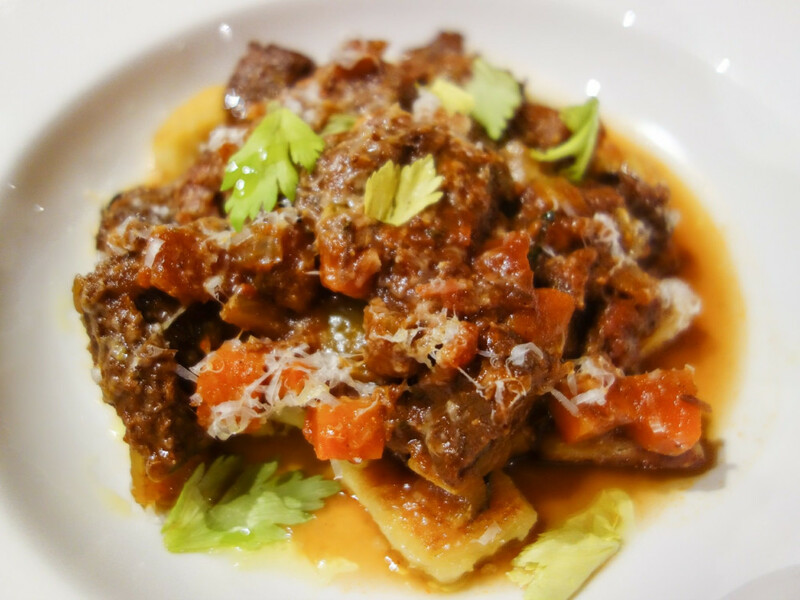 The slow braised beef short rib ragu with potato and rutabaga gnocchi for dinner is a big hit. Breakfast was the world’s fluffiest biscuits, with bacon and pepper jack cheese added, berry scones, and a frittata that has forever altered many diners' opinions of eggs as boring. In between, there are fresh cookies to be grabbed out of a communal cookie jar. The cookies are on the honor system so be fair and pay, or share. Even though you can buy day passes, staying overnight is highly recommended. The Johnstones, who both competed in the Olympics in the biathlon, invested in nearly two years of remodeling. They also had to winterize the ranch’s facilities. 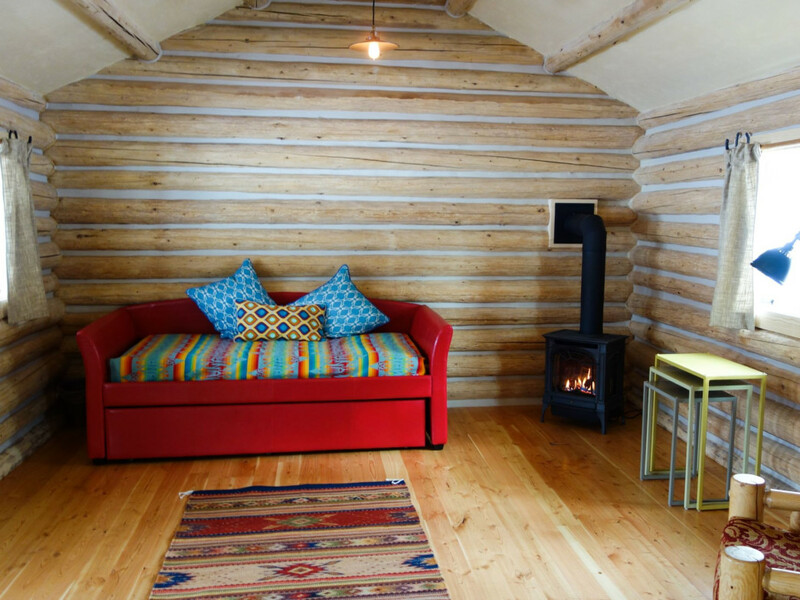 The historic cabins are the cutest-without-being-too-cute digs. This isn’t surprising since the Johnstones have built and run The Alpine House , a 22-room inn tucked away on Glenwood St. in downtown Jackson for years. At Turpin Meadows they didn’t have to build cabins, but perhaps that might have been easier. “We could see the place wasn’t in the greatest shape when we bought it, but we had no idea how much work it would be,” says Nancy Johnstones. 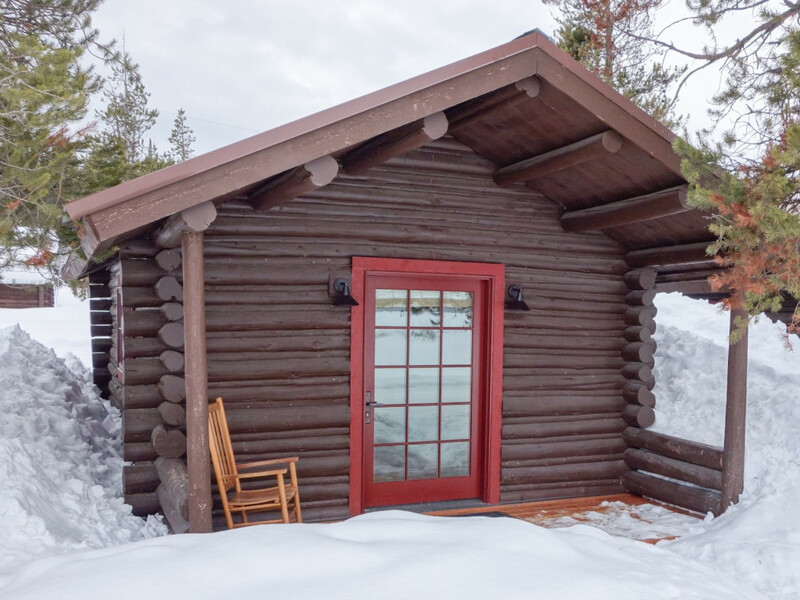 Of course, when the couple bought the property they didn’t have the slightest inkling they’d be turning it into a destination Nordic skiing resort open to the public. “We really just wanted a place for our kids to run around,” she says. 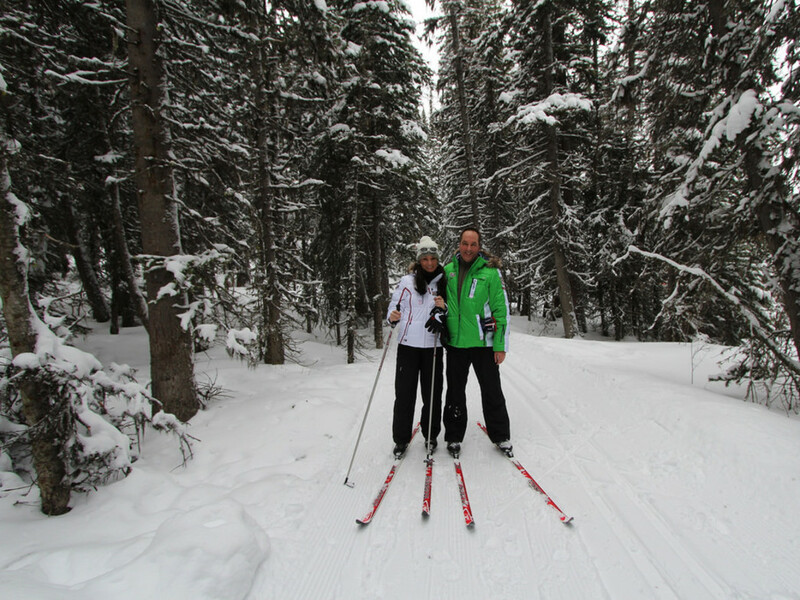 But as they walked their new property, the Johnstones realized it was perfect for cross-country skiing. “The trails laid themselves out in our heads,” Nancy says. The trails were the easy part. Turpin Meadows had been a popular dude ranch for decades, but it was never used in the winter. It opened in 1932 as a gas station and rest stop at the base of the western side of the first road over Togwotee Pass. “I guess the road back then was pretty hairy and people would stop here after they had made it down safely to recover their strength,” Nancy says. The road over Togwotee Pass has long since been replaced, but this original one does still exist. In the winter though, it is not plowed east of Turpin Meadows Ranch. “Right now, we’re literally the end of the road,” she says. The updated cabins, originally built in the 1930s, have been put on new foundations (they had no foundation before), and have had luxury bathrooms added. Logs have been peeled so they’re cheery and bright. Linens are colorful. The painted walls in our cabin were the color of lemon meringue. Heat comes from a gas stove. 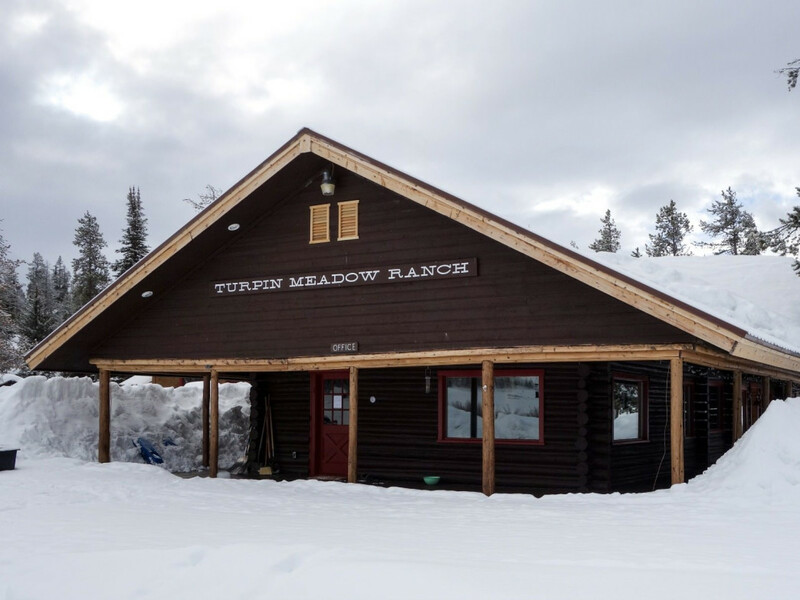 Whether you Nordic ski, fat bike, or snowmobile, Turpin Meadows serves lunch and dinner to the public. Guests staying overnight also get breakfast. If you’re not staying at the ranch, dinner reservations are required. 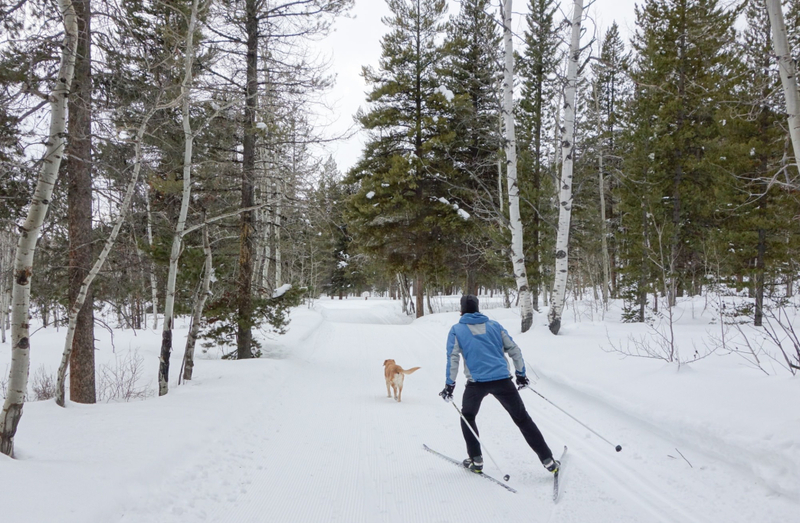 There’s probably a couple of weeks left in the cross country ski season. Call for conditions.